JescoGard™ | Carolina Packaging & Supply, Inc. 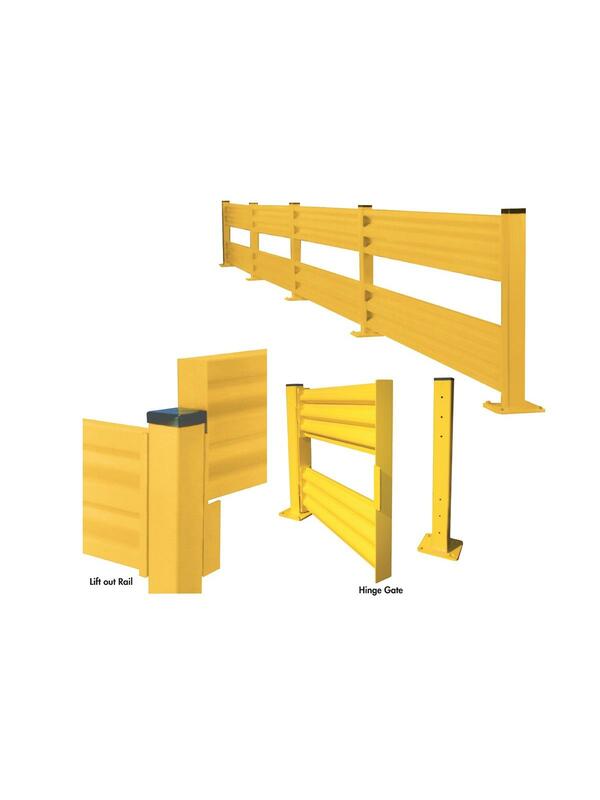 Provides secure protection for personnel, docks, conveyors and other equipment. Posts are from 4" x 4" x 1/4" tube. Base plate is 10" x 10" x 5/8" - with four 1" holes. All hardware and anchors included. Painted safety yellow. 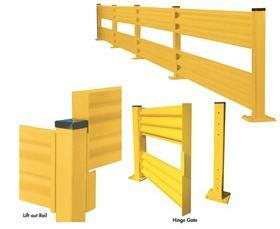 Add the optional Hinge Gate to the 42" high Double Rail System. It features self-closing hinges so the gate can be pushed open and will automatically close when released, and the stop bar with sound buffer will rest against the square post. FOB Shipping Point.